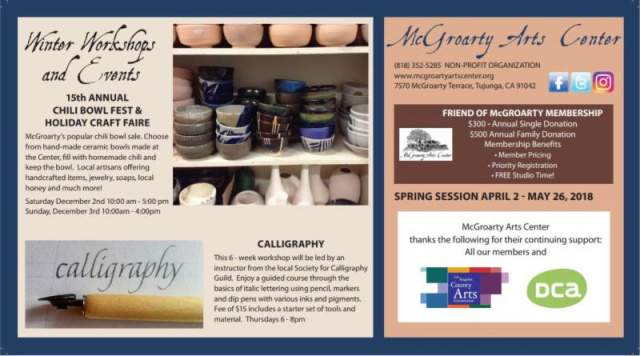 Sunland-Tujunga Neighborhood Council › McGroarty Arts Center Winter Classes! Do you want to kindle your creative passion? Come be part of a warm and welcoming community at McGroarty! Our Winter Session begins NEXT WEEK on January 8th! 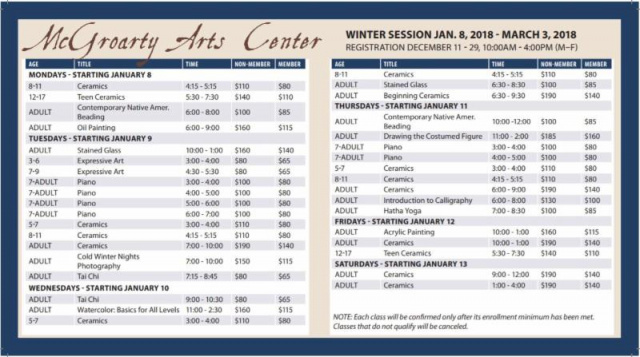 If you haven't already enrolled in one of our wonderful classes or workshops, call our office and register!